Development Platform :: Vivacitas Oncology, Inc.
Vivacitas' Development Platform is focused on advancing two promising compounds, representing second- and third-generation Camptothecin derivatives, to treat especially tenacious malignancies: pancreatic cancer and Glioblastoma Multiforme (GBM). 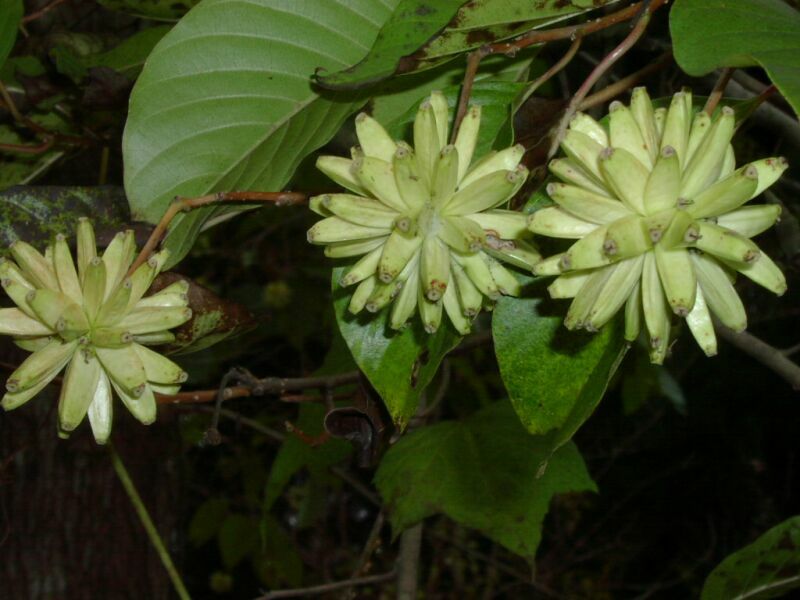 Molecules of the Camptothecin class originate from a native Chinese deciduous tree, Camptotheca acuminata, and have a long-standing clinical history as chemotherapeutic agents in a number of different oncologic settings. Camptothecins exert their therapeutic effects via their inhibition of topoisomerase I, an enzyme that plays a critical role in cell division. Despite the fact that 2nd generation Camptothecin-based drugs show therapeutic effects in a variety of settings, their use can be accompanied by dose-limiting toxicities, problematic pharmacokinetics, stability, and potency properties. Nevertheless, it is worth noting that two marketed, second generation, off-patent Camptothecin-related drugs Hycamtin® and Camptosar®, together pulled in 1.5 B USD in revenue for 2012, even with their known side effect profiles. Rubitecan/Orathecin and AR-67 are in the late stages of development and are being vigorously pursued as each offers potential improvements over commercially available Camptothecins, as discussed below. Cancer of the pancreas is an extraordinarily difficult neoplasm to treat. 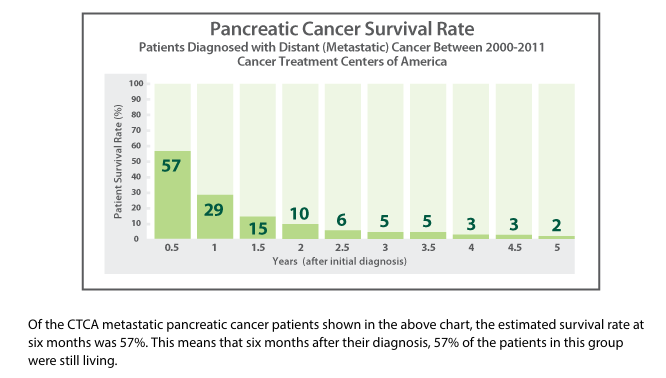 While pancreatic cancer survival rates are improving from decade to decade, the disease is still considered incurable. According to the American Cancer Society, for all stages of pancreatic cancer combined, the five-year survival rate is 7%. RUBI, a second-generation Camptothecin, is the only orally available formulation, potentially allowing more flexibility in dose and schedule of administration, particularly in relation to combination therapeutic regimens. Currently, drugs of this class are delivered intravenously. The program has garnered US FDA Orphan Drug Designation in two indications: pancreatic cancer and pediatric HIV/AIDS, as an anti-viral therapy, as well as Fast Track Designation in pancreatic cancer, thereby potentially offering attractive downstream advantages. The 47 patients that were not included did not receive 2 courses of therapy mostly due to rapid progression of disease, voluntary withdrawal, and death due to other causes. But they are included in subgroup analysis. Primary dose-limiting toxicities were myelosuppression and interstitial cystitis, no deaths. 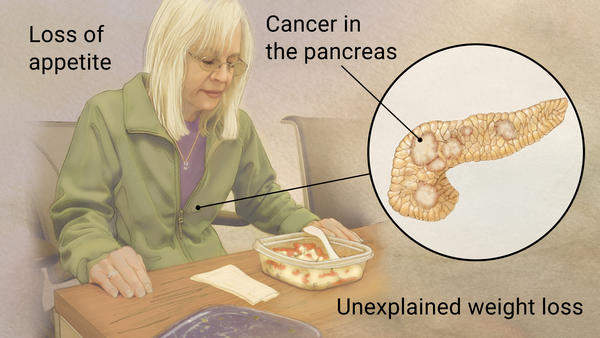 This multicenter study confirms previous studies demonstrating activity in refractory disease and achieving partial responses or disease stabilization in patients with advanced pancreatic cancer. Grade 3–4 toxicity was more common for rubitecan (neutropenia 28% vs. 14%; anemia 21% vs. 9%; nausea/vomiting 14% vs. 9%; diarrhea 12% vs. 5%). Rubitecan can achieve tumor growth control and significant progression free survival with an acceptable risk- benefit ratio. These results suggest that rubitecan might address the urgent need of patients with advanced pancreatic cancer, who now have very limited options in treatment. Study Design: Multicenter, multinational clinical trial in USA, Europe, and Canada. 224 to oral rubitecan and 224 to IV 5-FU for the classical intent to treat analysis. A total of 93 (41%) 5-FU patients crossed over to treatment with rubitecan. There was no statistically significant difference in medial survival: 93 days rubitecan and 116 days 5-FU. Median survival (without censoring) was also different between crossover and non-crossover patients from the 5-FU arm (from randomized baseline), 147 days vs. 60 days. No difference progression free survival: 56 days rubitecan and 56 days 5-FU. Half of all adverse events judged related to rubitecan and 5FU. Hematologic and urogenital events were higher in rubitecan arm. Hematuria (blood in the urine) was common at 14%, only 1% of the cases were severe. Rubitecan consistently is equivalent or superior to 5-FU. More patients on rubitecan achieve objective tumor response. The real benefit of rubitecan may be in its use in combination regimens. Rubitecan, an oral agent, is a convenient alternative to 5-FU, an approved drug agent given IV, in the palliative treatment of advanced pancreatic cancer. Gastrointestinal and urogenital events notably higher in rubitecan arm, but hematologic events were notably higher in gemcitabine patients. Severe or life threating events with a higher incidence in the Rubitecan group included digestive events: abdominal pain (14% vs. 10%), diarrhea (12% vs. 4%), nausea (20% vs. 13%), and vomiting (17% vs. 10%). Severe adverse events with a lower incidence in rubitecan include myelosupression: leukopenia (19% vs. 24%), thrombocytopenia (5% vs. 10%), dyspnea (4% vs. 9%), and pneumonia (2% vs. 6%). Incidence of infections was generally similar in the two treatment groups. Overall infection rate was 10% for rubitecan and 13% for gemcitabine treated patients. Sepsis in 5% in both groups. Safety Profile is comparable to and in some cases superior to gemcitabine with Gastrointestinal events more commonly reported with rubitecan and hematologic, respiratory, and skin events more commonly reported for gemcitabine. We await our efficacy results that are currently in process. A 'fast follower' program to Rubitecan, AR-67, is a third generation Camptothecin derivative showing potential benefits in patients with Glioblastoma Multiforme (GBM), the most common primary brain tumor (ca. 55% of all gliomas). This neoplasm of the cerebral hemispheres poses a serious therapeutic challenge because by the time it is diagnosed, the cancer is already fully established. As a result, the median survival rate for untreated GBM is very poor at 3 months, with less than 50% of patients surviving at 1 year and only 3-5% of patients surviving 3 or more years. 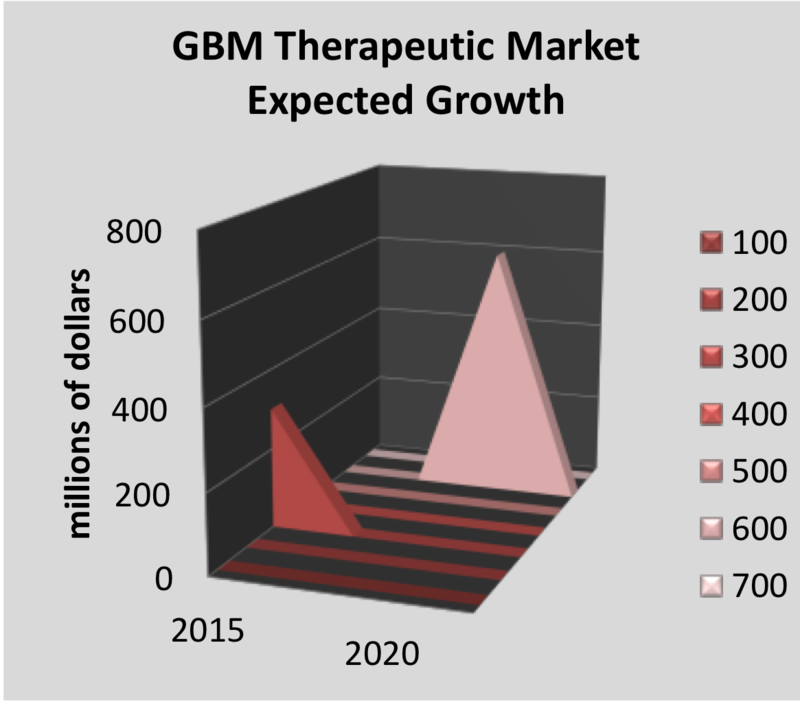 The market opportunity for an effective therapy in GBM is expected to double over the next 4 years, and will likely be driven by the introduction of new diagnostic platforms targeted at earlier detection and intervention. AR-67, an intravenously administered compound, is a specially modified Camptothecin designed to solve three major challenges in GBM; First, AR-67's modification results in improved pharmacokinetic and stability profiles that enable systemic dosing and suitable exposure to the drug. Second, AR-67's modified lipophilicity characteristics correlate well with a 16-fold improvement in potency (relative to marketed Camptothecins) as observed in clinical studies, suggesting that the therapeutic index has been widened, and might potentially reduce the dose-limiting toxicities often observed with Camptothecins. Lastly, AR-67 has demonstrated encouraging clinical activity in Phase II studies in patients with GBM, which will be studied further in future clinical trials. Patients had to be at least able to be ambulatory and carry out self-care and awake for 50% of waking hours. No patients with infusion related allergic reactions or diarrhea. 1 patient with non-small cell lung cancer at dose level 5.5 (74 days). While fatigue and hematologic toxicities are hallmarks of Camptothecins, the lack of diarrhea seen in the present trial is notable compared to other drugs of this class, particularly irinotecan. At the maximum tolerated dosage, toxicities were manageable and no diarrhea or hypersensitivity reactions were seen. Interestingly, a confirmed partial response was noted in a patient with non-small cell lung cancer, who remained on therapy for ten cycles. Further clinical testing of AR-67 is warranted and ongoing. 2 additional patients without reported bevacizumab history. 4 deaths in this study; one death occurred during screening and prior to study drug administration, and 3 occurred following drug administration that were due to disease progression. In Cohort 1, the most common TEAEs were fatigue (27%), constipation (23%), headache (23%), anemia (23%), and thrombocytopenia (20%). In Cohort 2, the most common TEAEs were nausea (31%), constipation (15%), diarrhea (15%), fatigue (15%), muscular weakness (15%), confusional state (15%), headache (15%), and hiccups (15%). A total of 17 (38%) patients experienced at least 1 SAE, with the most common being headache (3 patients). Two (4%) patients experienced a TEAE, with an outcome of death (i.e., a fatal TEAE). For both patients, the Grade 5 TEAE was disease progression and was considered unrelated to the study drug. 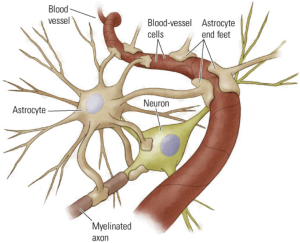 9 (20%) patients discontinued the study drug because of a TEAE, most commonly due to nervous system disorders, including headache (3 patients), ataxia, hemiparesis, and intracranial venous sinus thrombosis (1 patient each). AR-67 was well tolerated and exhibited a safety profile like other Camptothecins. In the near term, Vivacitas is focused on designing a Phase III clinical trial while building on the benefits conferred by the recently issued Orphan Designation in GBM.